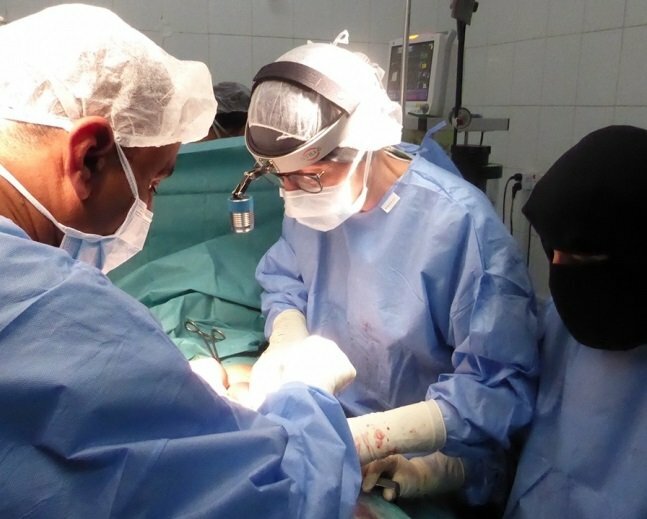 Hella Hultin, an MSF surgeon from Sweden, spent time on assignment in Khameer, Yemen, performing urgent surgical operations. She details her first night at the hospital, where right from the start she was working at full speed. 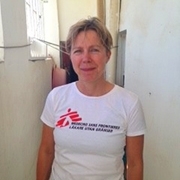 On the first night I arrived in Khameer, in northern Yemen, I was shown around the hospital. A little confusing at first, it was hard to find my way around and people swarmed everywhere. The female nurses were indistinguishable from each other, because they were completely covered in black, only their eyes visible. 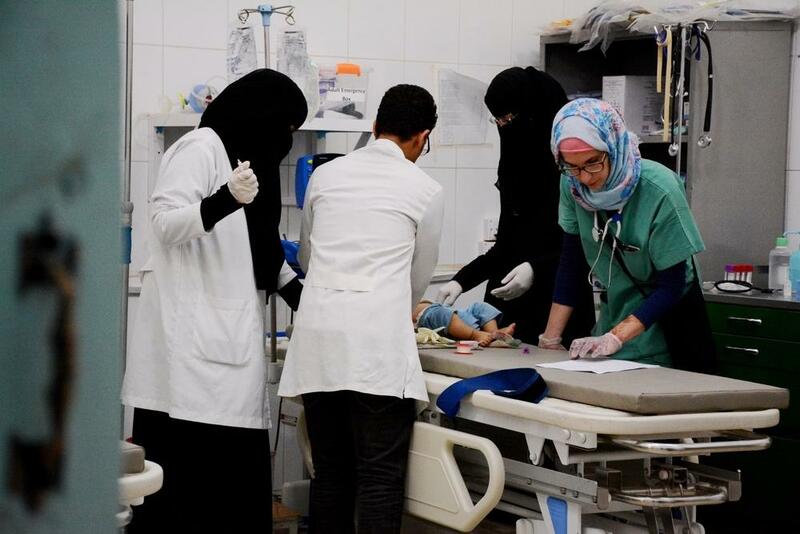 "Suddenly both our phones rang"
We were about to do an appendectomy on a girl, but my Yemeni colleague thought I might be tired after the long journey, and did not think I needed to attend. So I sat in the operating room and watched. Suddenly both of our phones rang. The voice on the other end was stressed, asking me to come straight to the emergency room. 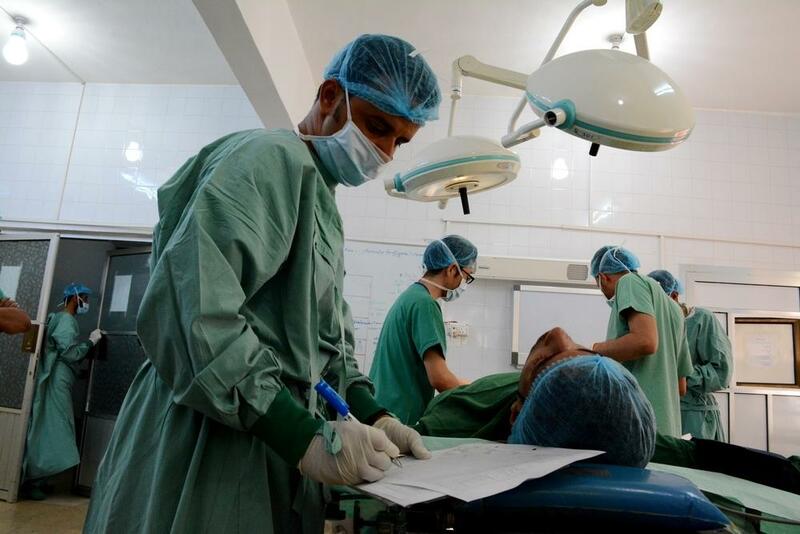 Technician writing down given treatment during surgery. "Help! How do I get there?" I thought, while I quickly lurched on a white coat on and hurried off, so fast that the cats outside ran away, frightened, in all directions. "Emergency?" I asked the attendant outside, and was pointed in the right direction. When I arrived, the emergency room was full of people, both patients and relatives. Many patients were being rolled in on stretchers from the ambulance entrance. I was told that there had been an air strike just a few hours ago and that more injured people would arrive. They were all covered with dust and dirt, and almost all had wounds from shrapnel. Several had fractures of the arms or legs, and some had burns on the face and hands. A desperate husband ran around the room and screamed - when I finally got the interpreter to translate what he was saying, it appeared that he was missing two of his two children who were there when it happened. It is not hard to imagine his anxiety. We worked all night, and all of the patients were admitted to hospital. Two of the most seriously injured we transferred on to a bigger hospital because they needed help we could not provide. When I last lay down in my bed, I felt like I had been here for several weeks.